It's difficult to plan a summer wedding and stay away from the generic beach themed reception. Take inspiration from other fantastic aspects about the summer to center your wedding theme around. You can also start your planning with an invitation that strikes your eye. 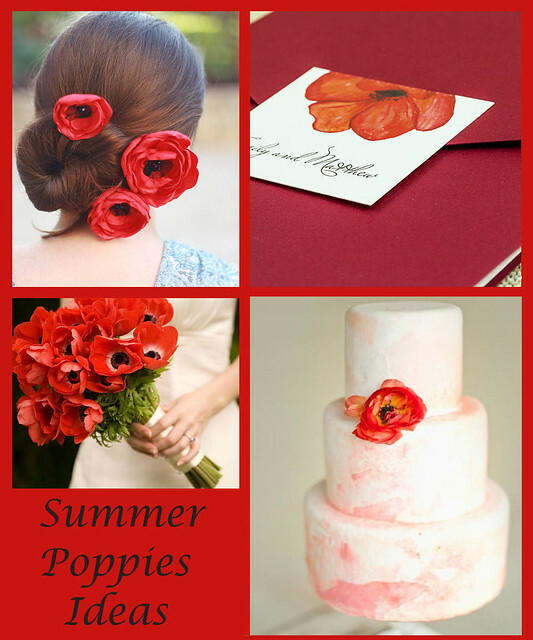 This Poppy Pocket Invitation by Birchcraft caught our eye and we thought it was great for a summer wedding. Poppies are a beautiful and full flower with rich color and a unique look. The invitation itself is also beautiful and a great option for wedding invitations because it holds all the wedding stationery in one place. This lovely claret red pocket invitation features a square tab on the front with your chosen names printed beneath a vibrant poppy flower. When opened, the pocket reveals your event details on a bright white invitation with a second claret poppy flower in the bottom left corner. Add your personalized text to complete the look. Complete the wedding suite with the response card, reception card, and directions card and you will have everything you need to have this wedding go without a hitch!